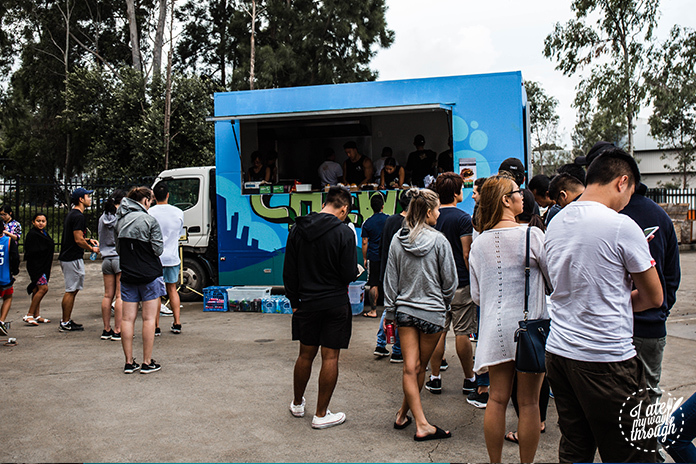 If there’s anything that I have realised in Sydney’s food scene recently, are the vast array of food trucks that have popped up, and to be more specific – burger trucks. I for one am not complaining though, because who could ever turn down a burger? (No really, point them out). It has become a tradition for my friends and I to trek to the newest food truck wherever it may be. I’m sure you’ve heard of Mister Gee, Char Char Food Truck or The NightHawk Diner, but one up and coming Burger Truck that I am particularly fond of will always be Mickey Chews. Having lived in the South West of Sydney my whole life, it’s safe to say that when it comes to burgers, we don’t come first in the minds of the average Sydneysider. I truly believe that Mickey Chews can change that assumption. Having personally seen the growth of this business over the past year (through numerous burger testing sessions and pop-ups) I can say that the burgers have gotten better each and every time. 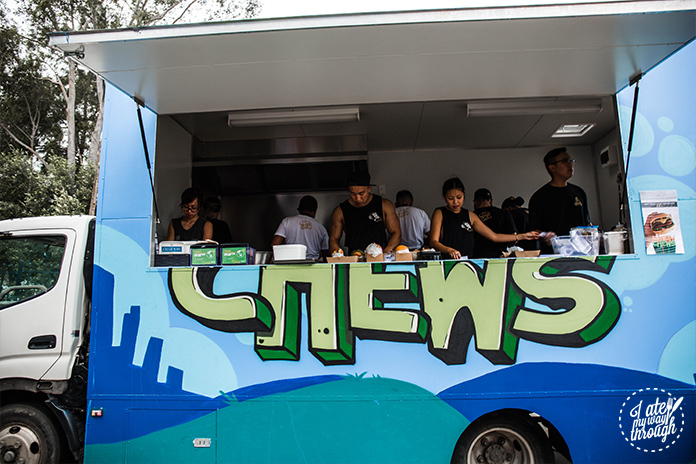 Just like most great ideas, the opportunity to start this business was fuelled by co-owners Kevin Chhoeu and Michael Luong’s ambition and passion for food. 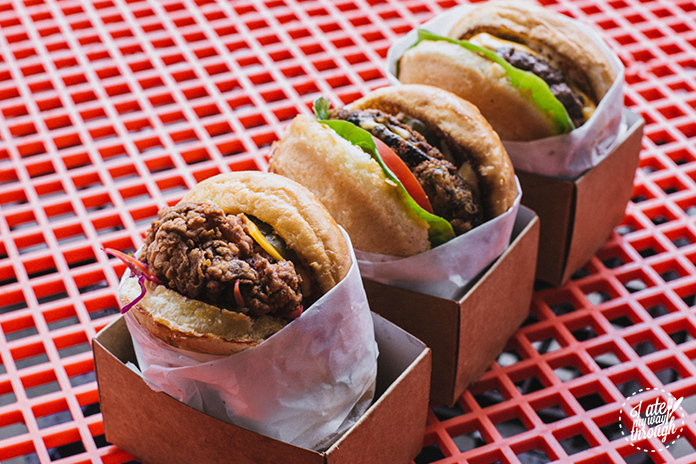 In 2014, Sydney’s Burger game was on the rise however, burger options were quite limited in the South West. 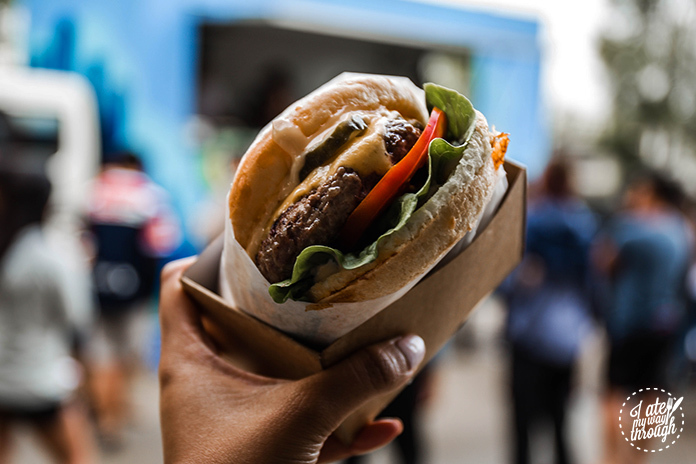 Gaining inspiration from the likes of Jimmy’s Burgers and Pub Life Kitchen, Michael begun to create his own signature burgers at home and with the help of Kevin’s entrepreneurial spirit, it begun the birth of Mickey Chews. Fast forward 3 years, Mickey Chews now offer gourmet burgers with the occasional twist of fusion. What I personally love about the menu here is how it celebrates classic comfort food; but takes them to the next level by adding a gourmet touch by using high quality ingredients… and all in the heart of the south-western suburbs – that is something to celebrate. The menu changes weekly, however during the grand opening of Mickey Chews, three burgers were on offer. As this was there introduction into Sydney’s food scene, it was clear they went all out to set such a high standard for themselves. 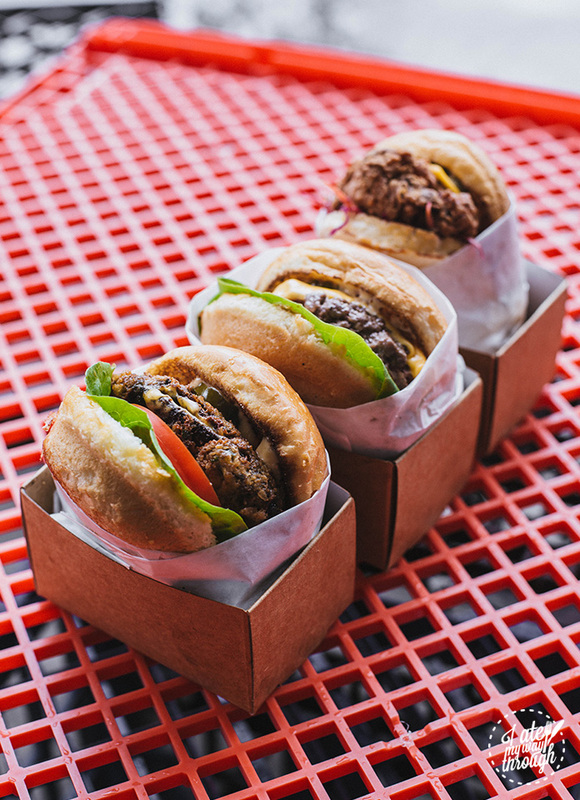 From flavour to presentation; the consistency in the look of each burger deserves to be admired. 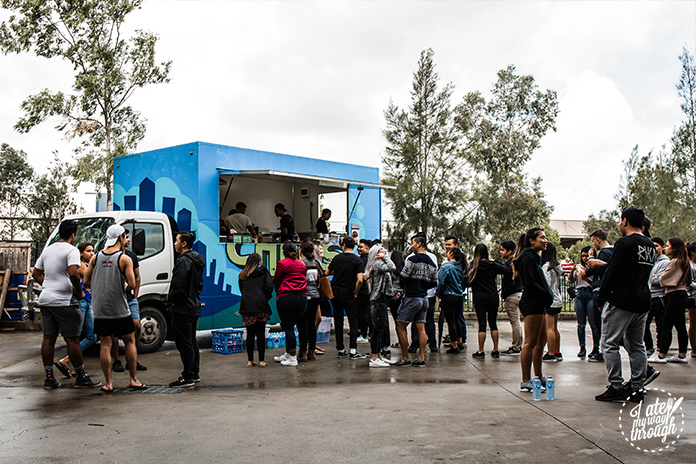 Despite the pressure and crowds, that didn’t phase them one bit from pumping out premium food. First on offer (and highly recommended) was the Mickey ($10) – Angus beef patty, American cheese, McClure’s pickles, lettuce, tomato and the Mickey Chews sauce. I will always remember the first time I tried the Mickey earlier last year. As cheesy as it may sound, it was honestly love at first bite. I was in total euphoria. The beef patty was incredibly juicy with a real meaty texture, and with the American cheese being laid so neatly like a veil on top of the patty, it added a layer of richness and a slight salty hit with each bite. The pickles were great at cutting through the richness with it’s robust tanginess while the secret Mickey Chews sauce did an amazing job at bringing the burger together. The sauce was complex and took you on a flavourful journey – with an intense creaminess, closely followed by a lingering sriracha hit, which was mellowed down by a subtle sweetness. It’s these types of burgers that become memorable because it’s more than just a burger… it’s an experience. Next up, we have the Chick-Ille O’Neal ($12) – Southern Fried Chicken, American Cheese, McClure’s pickles, a red cabbage & apple slaw with sriracha mayo. Wow. That’s all I can really say. The chicken itself was packed with flavour. From the base of a spicy hit during the marinating process, and then layered with various herbs in the battering stage, it worked so well with the freshness from the cabbage and apple slaw while the sriracha mayo toned down the heat with it’s creaminess. If a beef patty just isn’t your thing, the Shroom burger ($10) may just be what you are looking for – a panko crumbed Portobello mushroom stuffed with American cheese, McClure’s pickles, lettuce, tomato and the Mickey Chews sauce. Now I’m not one to turn down trying new things, and I’m glad I didn’t because this Shroom burger was just as flavourful as the Mickey burger. The Portobello mushroom was a great substitute to a beef patty with it’s firm bite and crunchy exterior from the seasoned panko crumbing. It was so filling and juicy and with the added melted cheese in the middle, it was what differentiated itself from other mushroom burgers out there. The cheese added richness and with the secret sauce bringing a layer of spice, it all constituted to a perfect bite. 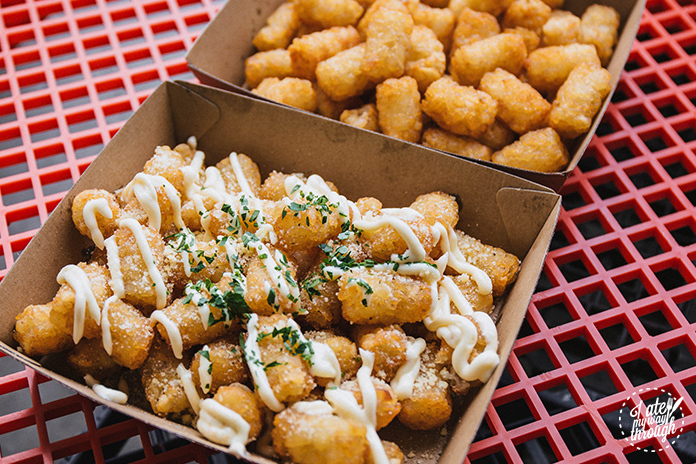 Aside from burgers, I love that Mickey Chews are trying to bring back Tater Tots. 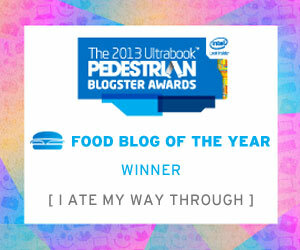 I LOVE Tater Tots. Crispy little nuggets with a soft pillowy inside of potato goodness – what’s not to love? Riding on the ‘gourmet’ wave that Mickey Chews are striving for, of course they wouldn’t only offer basic Tater Tots, they also offer Garlic & Parmesan Tots ($7). Golden, crunchy potato gems with roasted garlic salt and grated parmesan, with a drizzling of truffle mayo and parsley. Not going to lie, the toppings are a bit #extra but they all really work together. An honourable mention should go to how perfectly fried each potato gem was – an even golden brown that was incredibly crunchy on the outside. The truffle mayo mixed with the roasted garlic salt created a symphony of robust flavours that complimented each other so effortlessly. They were quite addictive that I pretty much finished them myself… despite having 3 other companions with me. I’m not even sorry about that. Aside from the amazing menu items, the incredible service all adds to an unforgettable experience. You really feel a part of a family with their friendly yet professional manner. As I mentioned before, the menu does change weekly however I am certain that no matter which week you visit, you’ll love what’s on offer. I believe in this small business so much and I am certain that they are capable of creating a wave in Sydney’s food scene. I can go as far to say that Mickey Chews will make you want to get out of the city and head on over to the West… trust me, it’s not as bad as you think. Justin believes that some of the best places you’ll ever try are the ones you don’t even know you’re looking for. Though an admirer of good music and film, Justin’s main aspirations lie within his passion for food. With an obsession over doughnuts, he devotes his spare time eating his way through Sydney’s latest food trends. In the rare case that he is not thinking about food, you’ll find him out and about - photographing whatever captures his attention. Never turning down an opportunity to try new things, Justin is always on the search for a new food taste sensation.